Czy jednak ojciec ludzkości dał się skusić Ewie na pewno za pomocą jabłka? *Was is, however, ++the apple that Eve tempted the father of mankind with? *However, was the father of +a mankind tempted by +the means of ++the apple? 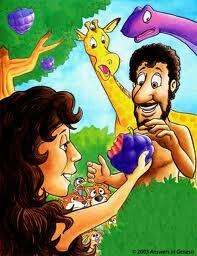 *Anyway, is it really true that the father of +the mankind was really tempted by Eva with ++an apple? Was it, however, the/an apple that Eve tempted the father of mankind with? However, was the father of mankind tempted by means of the/an apple? Anyway, is it really true that the father of mankind was really tempted by Eve with the/an apple? Osobiście wolę rozwiązania z an apple – są bardziej przekonujące dla laika. Hodowca jabłek czy sadownik może się z tą opinią nie zgodzić i trzepnąć the apple. – To mało prawdopodobne. W raju nie mogły rosnąć jabłonie. Jeśli oczywiście przyjmiemy, że biblijny Eden znajdował się gdzieś pomiędzy Eufratem a Tygrysem – mówi Zofia W.
* “It is not very probable. Apple trees couldn’t have grown in Paradise. 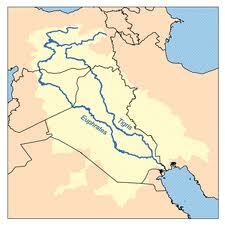 This holds, of course, only if we assume that the biblical Garden of Eden was situated somewhere between +Tigris and ++Euphrates.” says Zofia W. . ..
* Zofia W. reports: "It is very unlikely. Apple trees could not grow in + the paradise, assuming that the biblical Garden of Eden was somewhere between the rivers Euphrates and Tigris". * ‘It is highly unlikely. Apple-trees can’t have grown in Eden. If we assume that the biblical Garden was situated somewhere in the area between +Tiger and ++Euphrates,’ says Zofia W.
* “It is unlikely. Apple trees could not grow in Paradise. Of course if we assume that the biblical Eden was somewhere between +Euphrates and ++Tigris” – says Zofia W.
* Apple trees couldn’t have grown in the Garden of Eden. Of course, if we assume that +biblical Eden was situated somewhere between +Euphrates and ++Tigris – says Zofia W.
* Apple trees couldn’t grow in paradise if we of course assume that +Biblical paradise was placed somewhere between +Euphrates and ++Tigris' – says Zofia W.
Tymczasem pięciu z naszych tłumaczy wpadło tu w pułapkę. Aby jej uniknąć, należało wstawić definite article co najmniej przed nazwą pierwszej z rzek. ‘I did not call him a “fool” and did not insult him,’ she said. Zwróćmy też uwagę, że znak interpunkcyjny sąsiadujący bezpośrednio z cudzysłowem zawsze go wyprzedza – w przeciwieństwie do zasady obowiązującej w języku polskim. Znak the /(Ø) oznacza możliwość wyboru definite article lub braku article . “It is not very probable. Apple trees couldn’t have grown in Paradise. 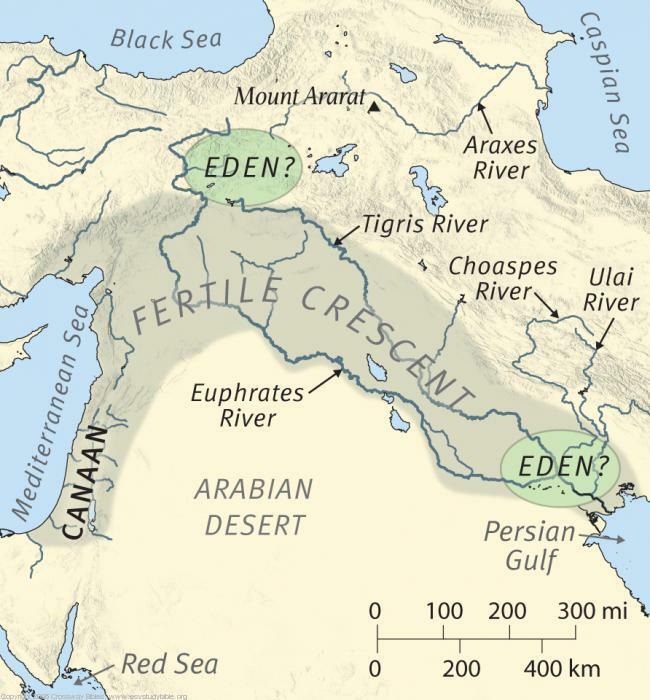 This holds, of course, only if we assume that the biblical Garden of Eden was situated somewhere between the Tigris and the /(Ø)Euphrates,” says Zofia W. .
* Zofia W. reports: "It is very unlikely. Apple trees could not have grown in Paradise, assuming that the biblical Garden of Eden was somewhere between the rivers Euphrates and Tigris." ‘It is highly unlikely. Apple-trees can’t/couldn’t have grown in Eden. If we assume that the biblical Garden was situated somewhere in the area between the Tigris and the /(Ø)Euphrates,’ says Zofia W.
“It is unlikely. Apple trees could not have grown in Paradise. Of course if we assume that the biblical Eden was somewhere between the Euphrates and the /(Ø) Tigris Rivers,” says Zofia W.
“Apple trees couldn’t have grown in the Garden of Eden. Of course, if we assume that the biblical Eden was situated somewhere between the Euphrates and the /(Ø)Tigris,” says Zofia W.
“Apple trees couldn’t have grown in Paradise, of course if we assume that the Biblical Paradise was located somewhere between the Euphrates and the /(Ø) Tigris,” says Zofia W.
Do pięknego, czerwonego jabłuszka przekonują nas przedstawiający raj średniowieczni i renesansowi artyści. 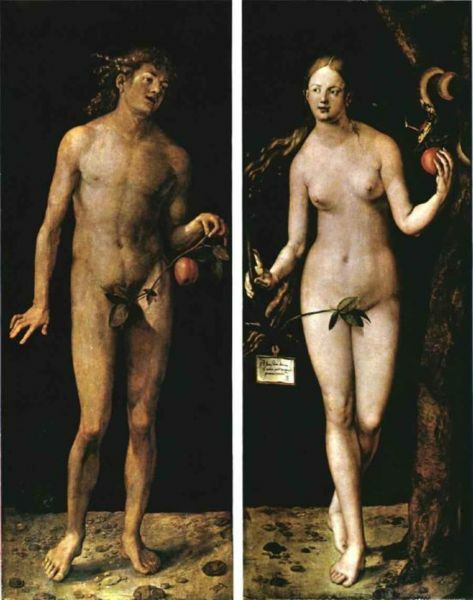 * Medieval and Renaissance artists who were presenting +the paradise sold us +an idea of ++a beautiful, red apple. * Renaissance and mediaeval artists in their visions of Paradise promoted the image of ++ a beautiful, red apple. * Middle Age and Renaissance artists painting +the paradise convinced us that the fruit must have been a beautiful, red apple. In their presentations of Paradise medieval and Renaissance artists have tried to sell us the idea of a/the beautiful red apple. In their visions of Paradise Renaissance and mediaeval artists promoted the image of the/ a beautiful red apple. The artists of the Middle Ages and Renaissance artists who painted Paradise convinced/did their best to convince us that the fruit must have been a beautiful red apple. As opposed to painters from later times, the medieval and Renaissance artists tried to convince us it must have been a beautiful red apple.